Morning news and current affairs, with James Naughtie and Evan Davis, including UKIP foster care row, the latest on the floods plus Larry Hagman remembered. 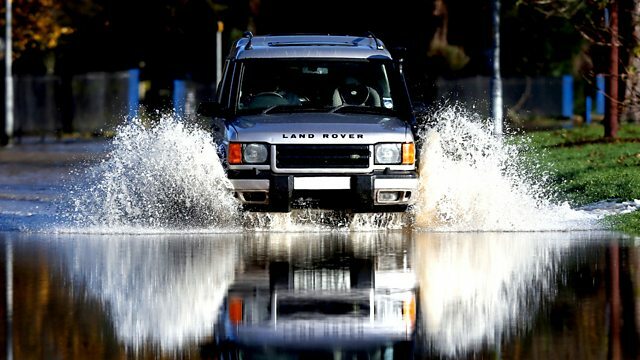 As heavy rain is forecast for many parts of the country this weekend, flood risk manager Peter Fox from the environment agency has the latest. Over the last four years an estimated 10,000 mainly Eritrean refugees have been kidnapped by people traffickers, largely based in Egypt's Sinai region. Most disappear on the way to seek a better life in Israel. The BBC's Mike Thomson reports, and Tulberg University's Mirjam van Reisen speaks from the Netherlands. Rotherham social services are being accused by a couple of removing three foster children from their care because the council disapproved of their membership of UKIP. The strategic director of children and young people's services at Rotherham Council, Joyce Thacker, comments.